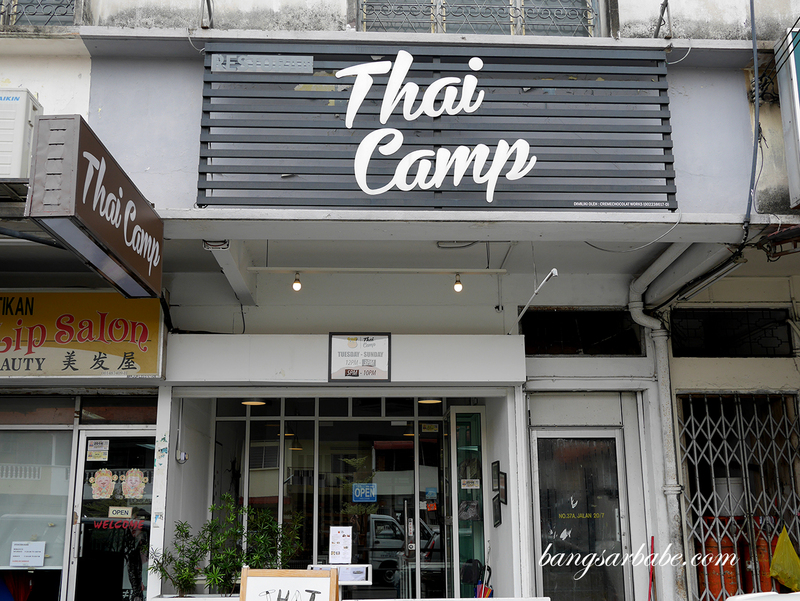 I’ve driven past Thai Camp in Taman Paramount PJ several times over the last two years or so and heard good things about the place, but it was only a couple of weeks back when I tried it for myself. 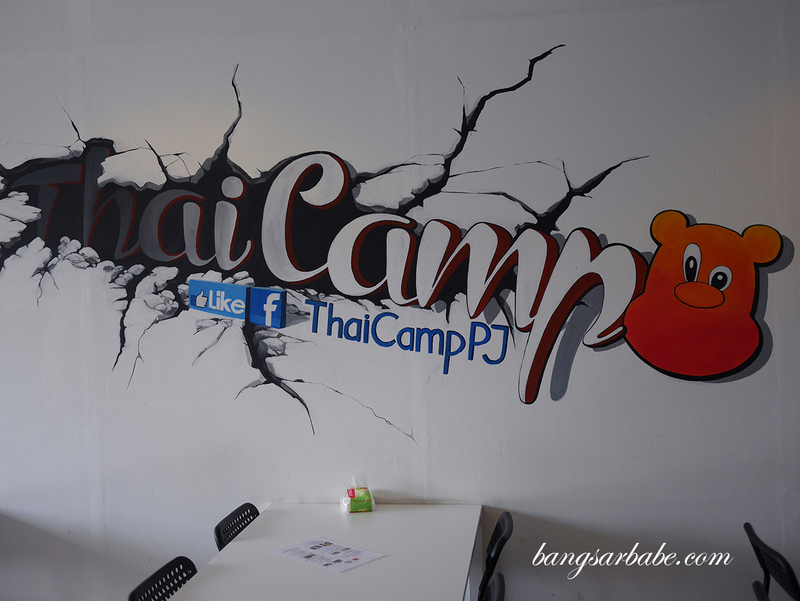 It was rif who convinced me that I would enjoy the food Thai Camp has to offer after going there for lunch with his colleagues. 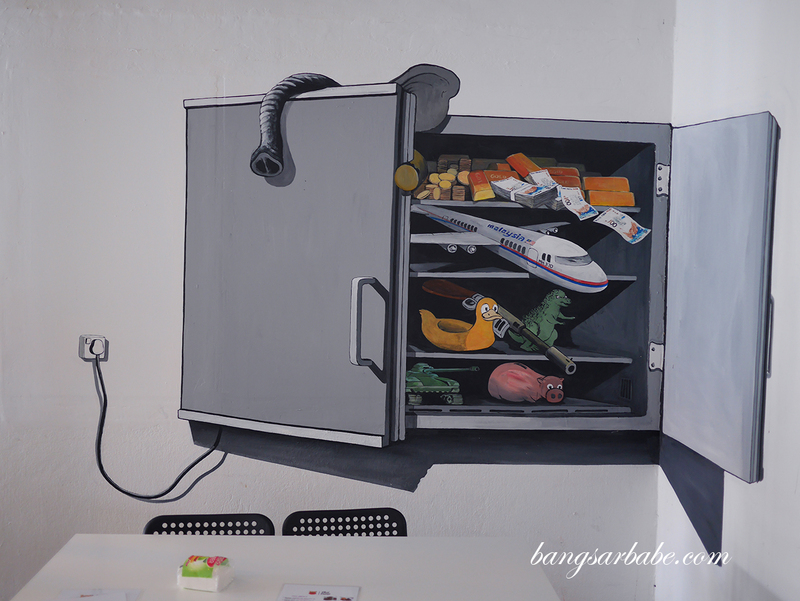 The space isn’t very big – a cosy half shoplot with wall murals and enough tables and chairs to accommodate 20-25 pax in one seating. 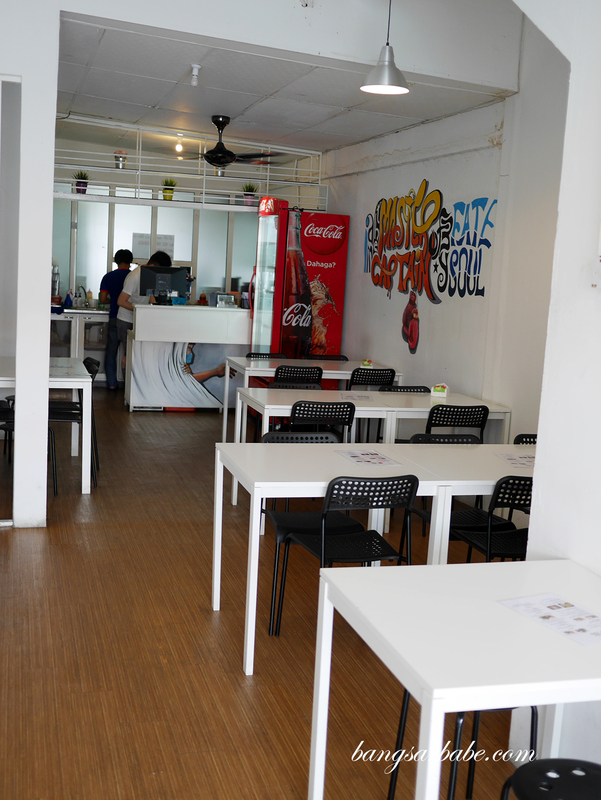 The menu is small but sufficient, featuring several northern Thai items which aren’t commonly available in Klang Valley. 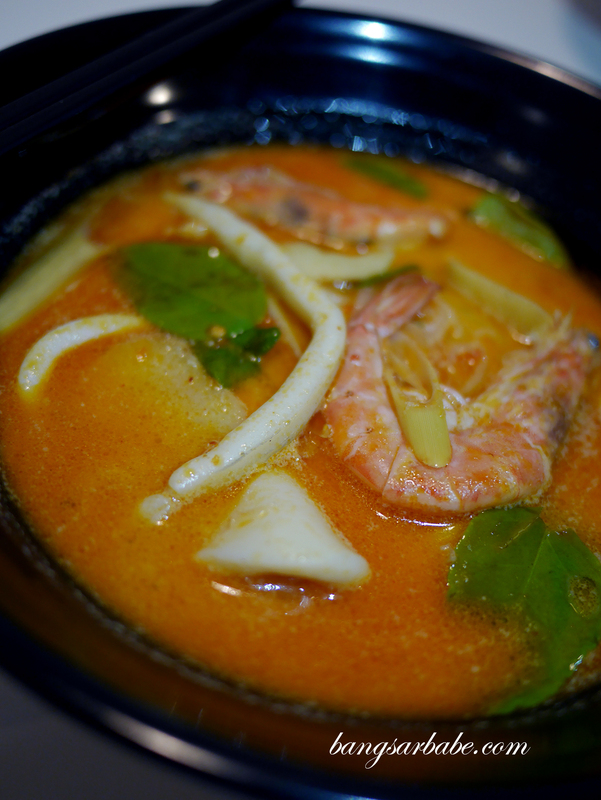 Thai Camp’s seafood tomyum noodles (RM8.90) is quite good – moderately thick and creamy from the addition of coconut milk. 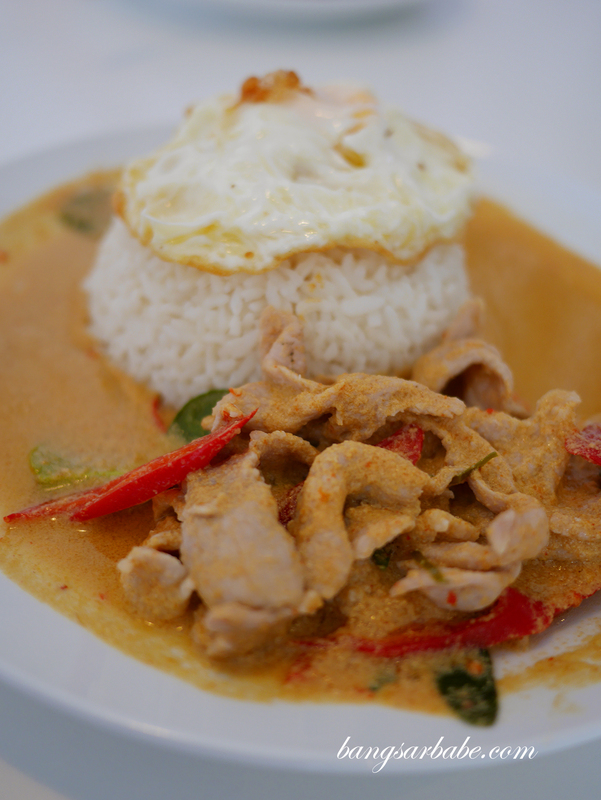 Don’t be fooled by its creamy appearance as this dish packs a wallop. There’s a nice balance between sweet, savoury, tangy and creamy, so you won’t find this cloying. 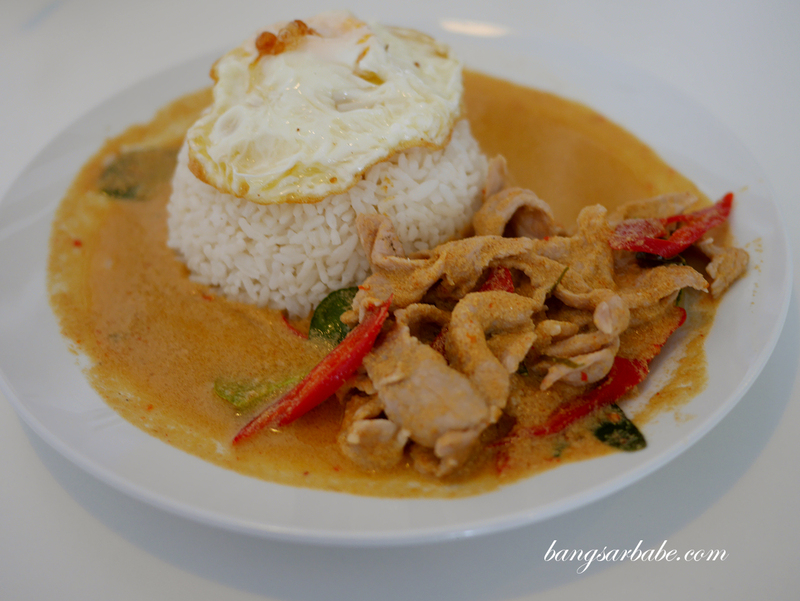 Rice dishes are also available, and the Paneang Pork Curry Rice (RM8.90) comes with a sunny side up to complete the meal. Portion is decent and the pork curry is tasty. I liked that the gravy wasn’t overly spicy and the meat is cooked till tender. 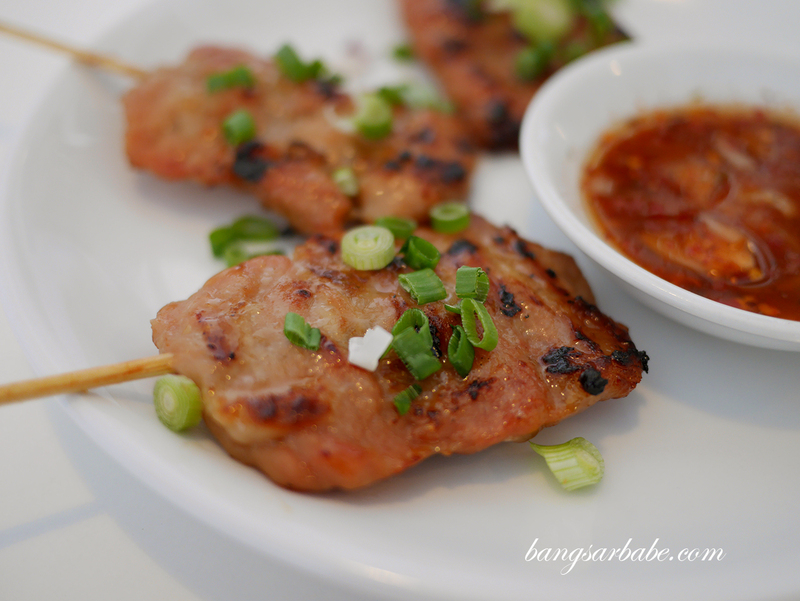 Thai pork satay (RM9 for three sticks) didn’t bowl me over. While the meat was juicy and well marinated, it was lacking that char which gives the edges that delicious crisp. 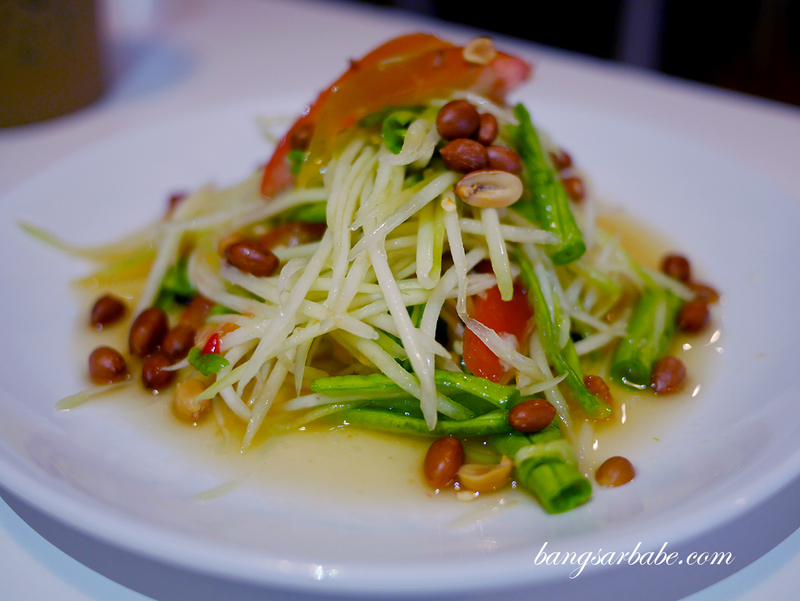 I didn’t care much for the papaya salad (RM8.50) either, for the julienned papaya was a tad too young. This lacked “oomph” as the overall taste of the salad was pretty one-dimensional. 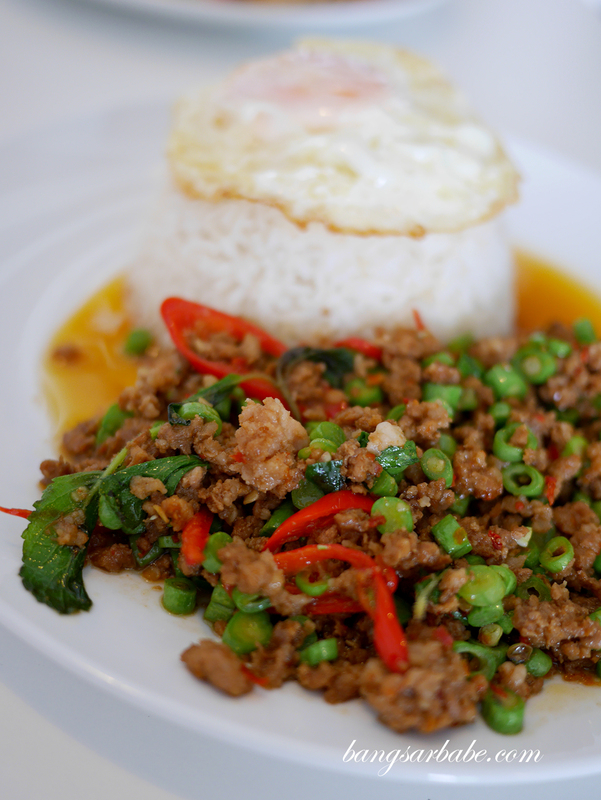 I rather enjoyed the stir-fried basil minced pork (RM8.90 with rice and egg) which had a nice balance of crunch from the long beans and meatiness from the pork. This can be a tad spicy for some so if you have a bit of a butter tongue, do ask them to go easy on the bird’s eye chili. 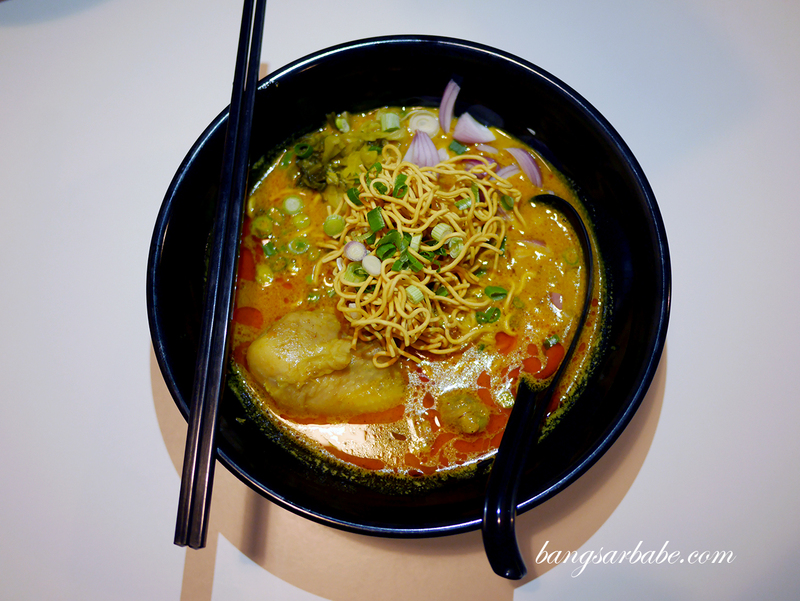 Thai Camp curry noodles (RM8.50) is popularly known as kao soi kai in northern Thailand. 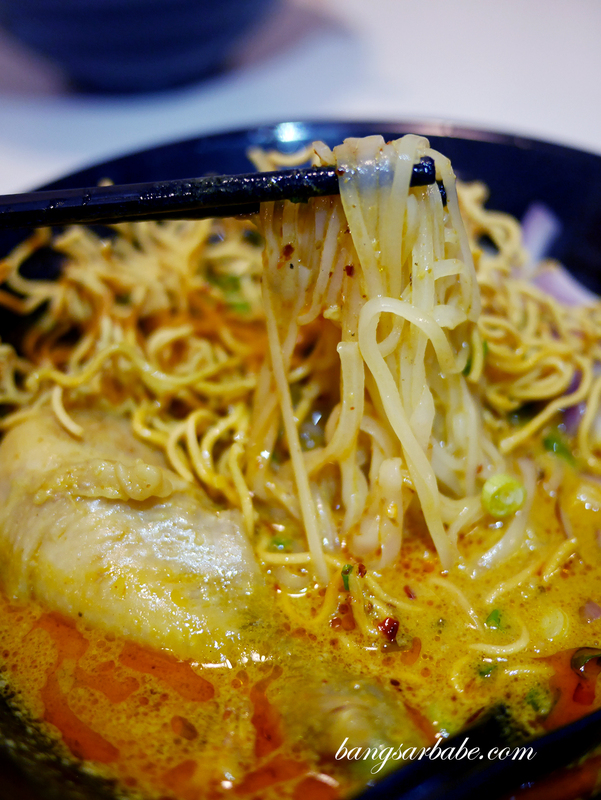 The kao soi kai is one more reason why I would return to Thai Camp again, and again. There’s so much goodness in this bowl of noodles – creamy curry base, crisp noodles, Thai rice noodles and a whole drumstick for a wholesome experience. I love how the onions and pickled mustard greens give crunch and helps offset the richness of the gravy. 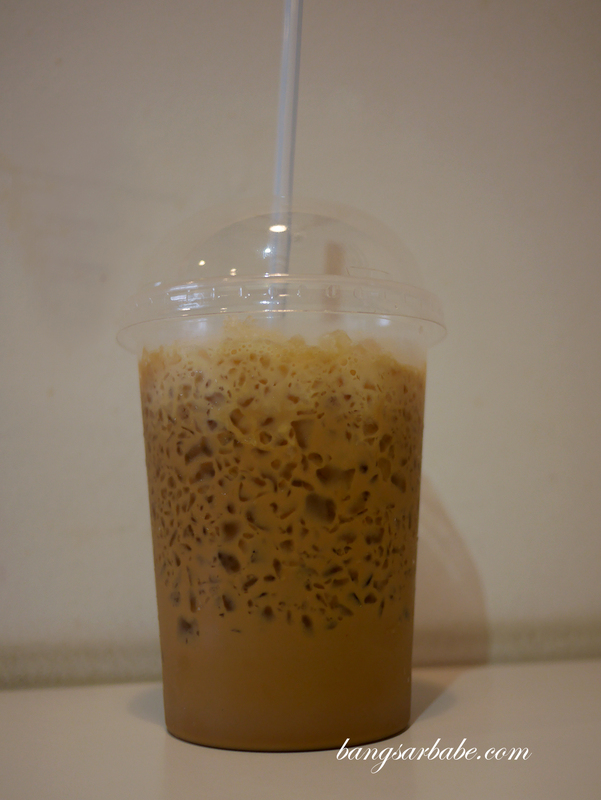 Thai iced milk tea is readily available in two sizes – medium (RM4.90) and large (RM6). The greedy girl in me would always go for the latter, which is a great thirst quencher after a spicy meal. Don’t bother with the iced coffee, as this tasted very much like an instant 3-in-1 mix. 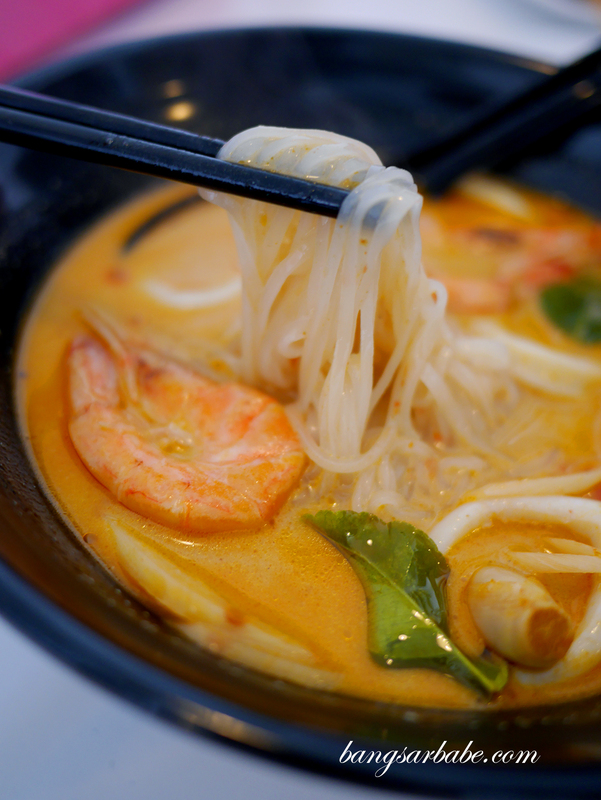 Verdict: Try the seafood tomyam noodles and kao soi kai (curry noodles).